TOP trotter Mclovin will continue his preparation for an international campaign when he heads to Tabcorp Park Melton on Saturday night. Engaged in the Sundons Gift Free-For-All, Mclovin is being primed for a trip across the Tasman by trainer Andy Gath. Gath has set his sights on two New Zealand features – the ANZAC Cup on April 26 followed by the Rowe Cup the a week later. A revelation since joining Gath’s stable, Mclovin has won five of his six Aussie starts including the Scotch Notch Memorial a fortnight ago. “His runs here have been quite good and he’s getting better all the time,” Gath said. “He has exceeded our expectations. With the son of Monarchy due leave for the Shaky Isles in three weeks, Gath is unsure if Mclovin will have another start before his departure. As for his pending assignment, Mclovin is a short-priced favourite from barrier three. The squaregaiter’s six rivals include his stablemates Kingdom Come and Clover Mac. Kingdom Come has drawn the pole, with Clover Mac to come from four. “If he runs to his best Kingdom Come has some winning hope from the draw,” Gath said. 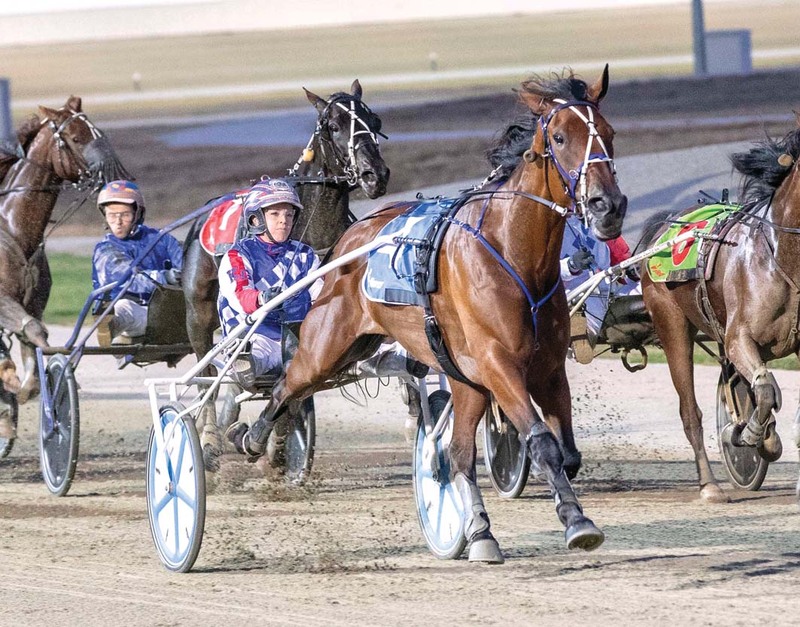 “Clover Mac paced away at his last start and lost all chance, but did run the quickest half. “He will be better for the run and has drawn handily enough.